So I was knuckle deep in a crazy board rework today at work trying to fit a 1206 cap where it didn’t belong because it was left off the schematic and consequently the layout. About halfway through I realized that the rework I was performing required a pretty steady hand, like I imagined a surgeon would need. I chuckled to myself and tweeted that if being an EE didn’t work out I was going to become a surgeon as all the reworks I’ve done over the years count as practice. Satisfied with my wittiness I pocketed my phone and continued on modifying the board. That would be the end of the story if my brain would ever let anything go. Instead I kept thinking about surgery the rest of the day and realized that actually, EEs are quite a bit like surgeons when you think about it. Heart Rate Monitor, O2 Monitor, etc. 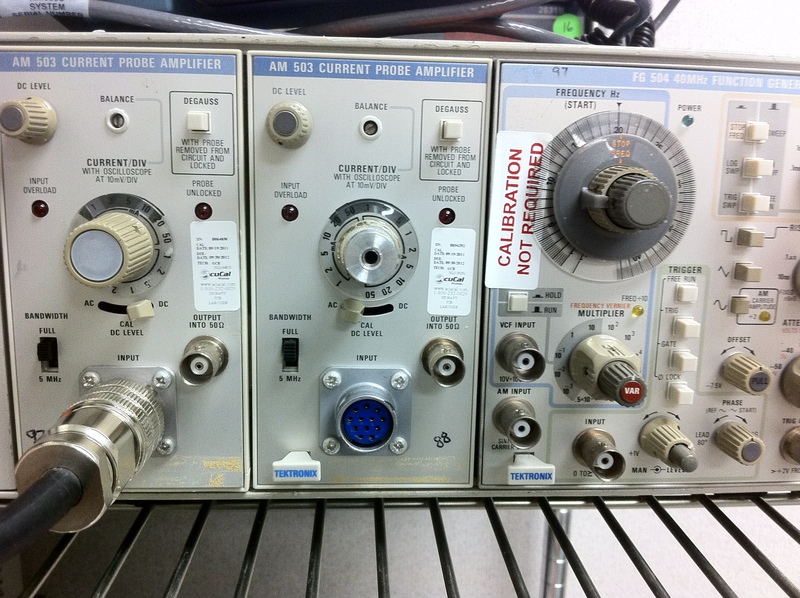 = Oscilloscopes, Multi-meters, etc. So I guess all that’s separating me from becoming a surgeon is jargon am I right? 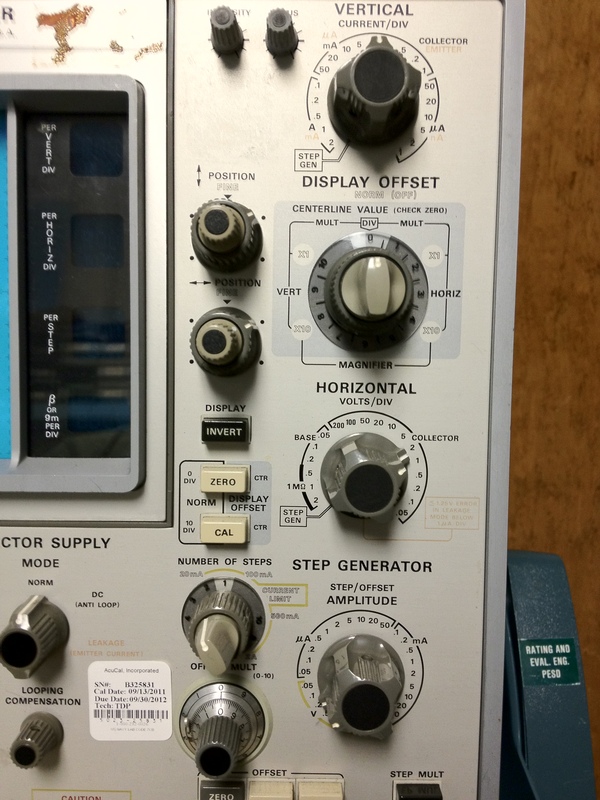 Back in October I posted about some old Tektronix equipment I found at work consisting of a function generator and current probe amps sitting in a power supply chassis. 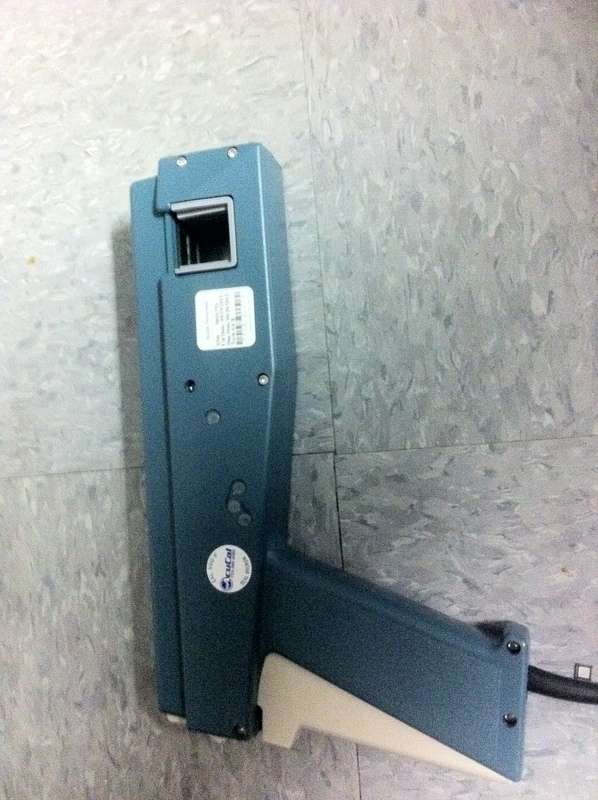 Well after a few more months of rummaging around the various labs and store rooms at work I stumbled across another old piece of Tektronix memorabilia, a Type 576 Curve Tracer. As far as I can tell from perusing the web it dates back to the late 1950’s or early 1960’s. 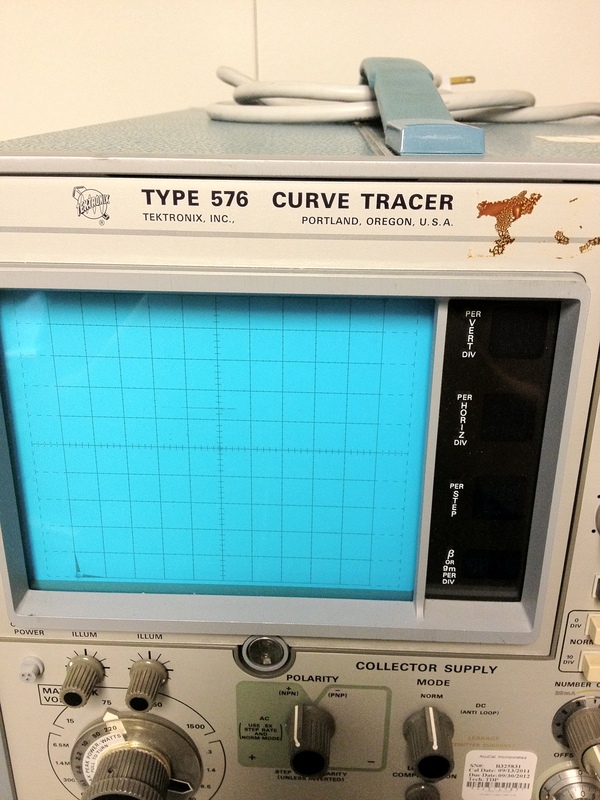 One site, Barry Tech, claims the curve tracer is from 1969 while Vintage Tek simply states the 576 was developed sometime between 1960 and the early 70’s when the series was discontinued. The 576 is also the second curve tracer offered by Tekronix designed with transistors instead of tubes, the first being the 575. Can deliver up to 220W of peak power to the DUT. 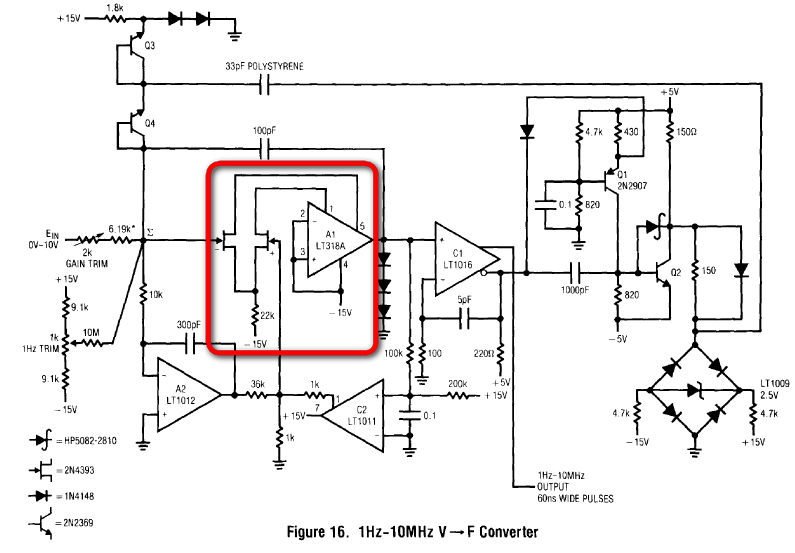 Voltage steps can be as large as 1500 V and current steps can hit 20A peak. If you purchase the 176 high current plug-in the 576 can hit up to 200A! Absolute accuracy of 2% of total output including settling, or 1% of amplitude setting. Pulse generator capable of 1 to 10 repeated steps. The 576 Curve Tracer in all its magnificent glory. Couldn't find a picture of the insides online sadly. 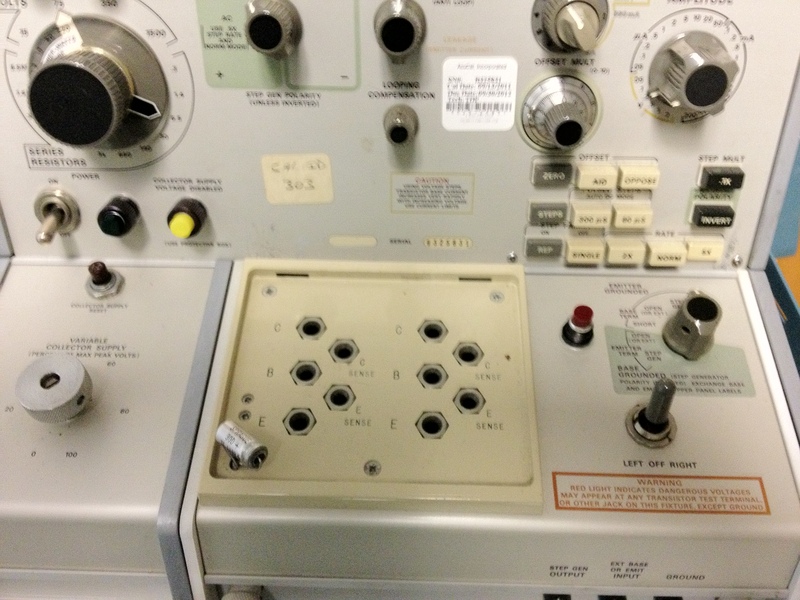 I think I definitely prefer knobs over touchscreens on my test equipment. Fiddling with this guy just felt great. Not that I want to give up my modern gear completely mind you, I'm just sayin'. Note the force and sense lines for the collector and emitter terminals. Also this thing could dish out some serious power to the DUT, up to 220W! Looking on Barry Tech I saw they also provided a link to the 576’s manual you can check out here. Tek was kind enough to provide a complete section dedicated to the circuit description that I definitely plan to check out in my free time. 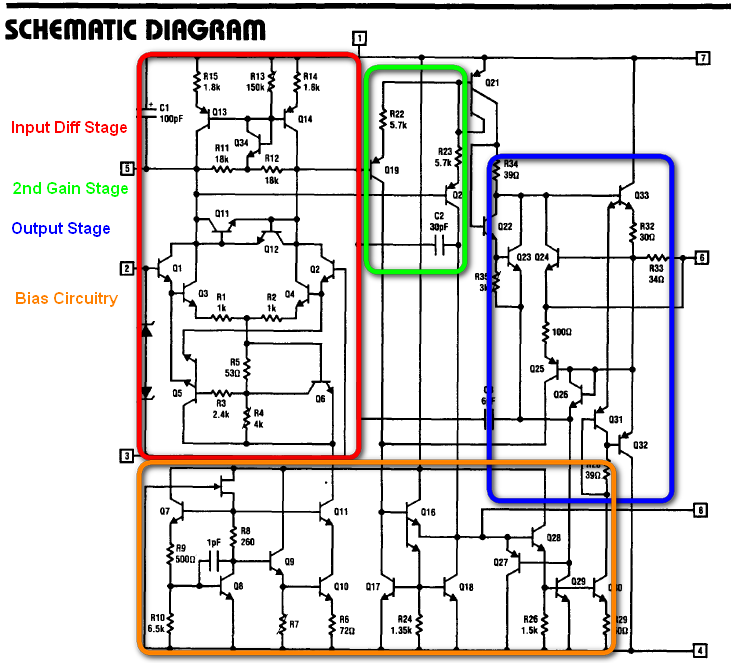 The circuit description section includes pieces on the control loop compensation, logic diagrams, timing charts, and at first glance, what appears to be pretty detailed explanations of it all. Check out Figure 3-6 to see a diagram of the discrete A/D used in the tracer designed with only a handful of diodes and resistors. Supporting the DIY movement before it was fashionable, the manual also contains a complete section on basic maintenance and troubleshooting including where to locate various circuits, key performance specs, and a soldering guide. Unfortunately I don’t think this 576 sees much action anymore at work. To my knowledge nothing in our product catalog needs to be tested using at the individual device level and if it did it would probably be done using a wafer probe station instead. I’ll ask some of the designers and test engineers if it’s ever used anymore and report back. 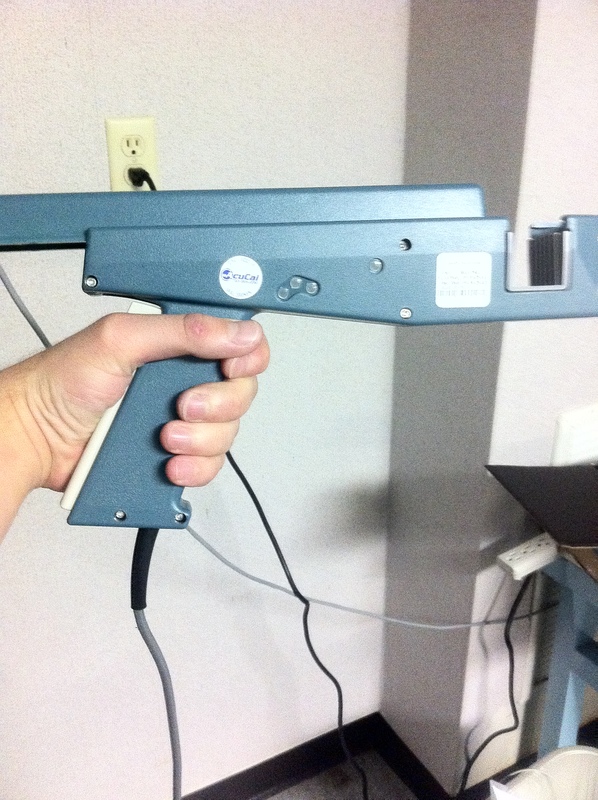 I was poking around in the Design Lab at work and happened to come across a few pieces of old Tek Gear. 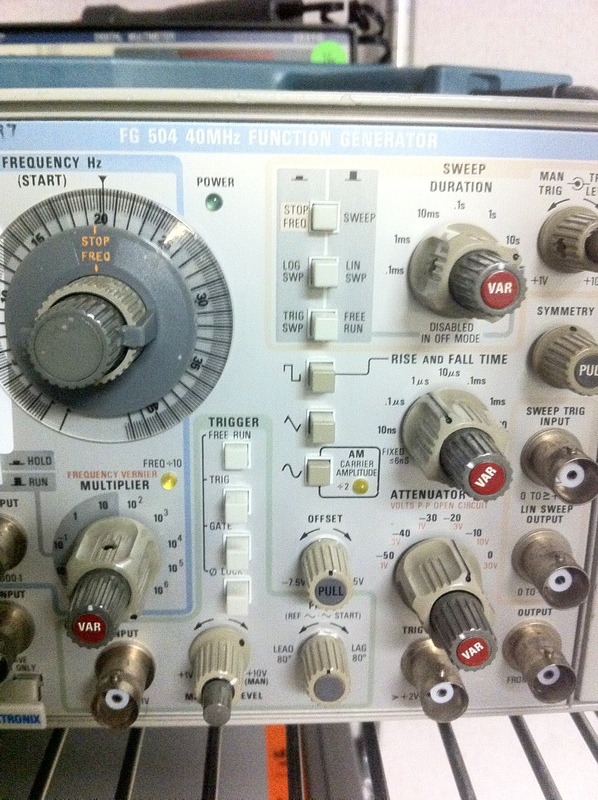 There’s one FG504 Function Generator and two AM503 Current Probe Amplifier modules together in a TM504 Power Supply chassis. The FG504 can generate a sine, square, or triangle waveform up to 30Vpp over an impressive 1mHz to 40MHz frequency range. It also has a host of other features too including burst and sweep modes. 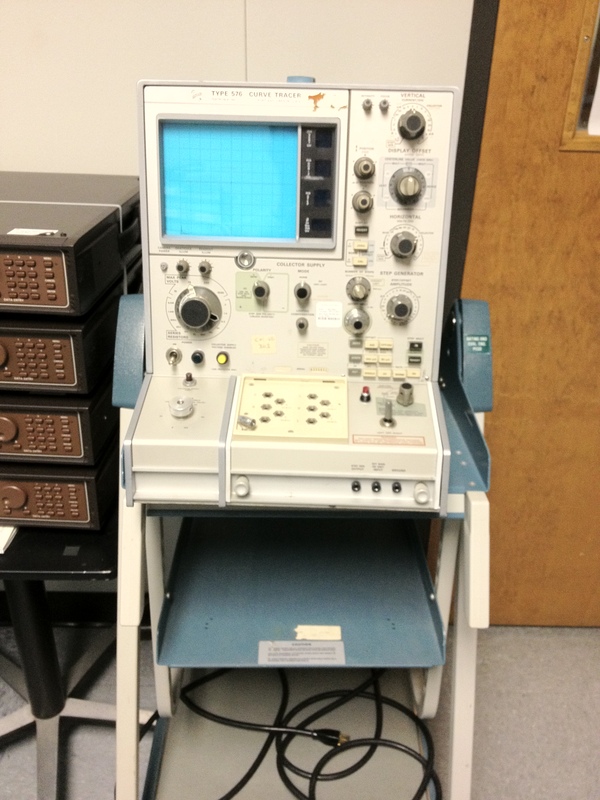 The AM503 can be attached to any oscilloscope and allows for current measurements of up to 100 A depending on the current probe used with it. I’m not sure if this stuff gets used much anymore, if at all, but it’s still cool none the less so I snapped a few pictures to share my findings. I also did a Google search for each module and found a few interesting sites which I linked to at the end. Enjoy! 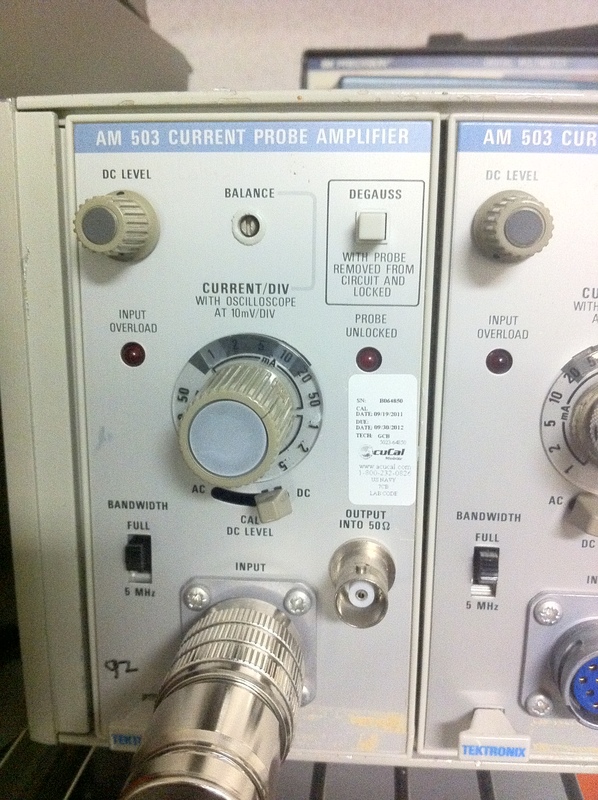 Catalog page for the current probe amp. The AM501 Op Amp Module also on this page looks pretty cool too. I’d definitely like to play around with one of those. An ebay page selling the power supply (includes pics of just the supply itself). Website which shows a picture of the inside of the FG504, all through-hole and some crazy looking traces. Want to see some more Vintage Tek Gear? Check out my new post on the 576 Curve Tracer.